A cable-car that is connecting Silangit Airport down to the five kilometer distant beach of Meat. From there a high-speed solar shuttle takes passengers around the lake. Noiseless, without creating pollution, and with a speed of more than 50 km per hour. Slow solar boats start off Parapat and Ajibata and connect these places to Tomok, Tuktuk, Ambarita and also drive around the coastline down to Balige, Meat, Muara, Bakkara and Pangururan. These boats move at a leisurely speed of 9 km per hour. In 15 minutes the guests will be taken down to the lake including their luggage and without any waiting time. The cable car can take up to 5000 guests per hour if necessary. To built a mono-cable roapway it will cost around 6 million USD. A cable car like this can operate up to a 100 years. If we want to pay off the initial investment within 10 years, then the facility has to provide a net income of at least 600.000 USD per year. This is possible, based on the following account: 600,000 USD per year means about 2000 USD per day. If the running costs are of the same amount, then the facility need to generate 4000 USD per day to break even. With the start of Silangit as international airport already at the end of the year 2017, there will be around 1000 passengers, in-coming and out-going. If only 50 % of them use now the cable car for 5 USD one way, this will then be 5000 USD a day, or 20% profit already. There will be additional income from local people who have to go and come from the airport, like airport employees and all the other local people. For those local customers, special discounts by subscription or season tickets can be provided. Then, if there is this cable car around, all the tourists will go there and they want to ride. For this you will have at the end much more guests and a much higher profit. And you will have the high season times, where you have much more flights and guests. To create this cable car project, it just needs a short concept description of 2-3 pages authored by the BODT. Based on this description one tenders the project to the business community. You give the winner of the tender the license to built and to run the cable car for 15 years. You just provide the license and you ask the companies how much they PAY to make it. The access problem is solved, there will be the company who builds and operates it, and the government get license fees from it. It is already a business model. Another positive effect of this project: the street between Balige and Siborongborong will no longer be overloaded. 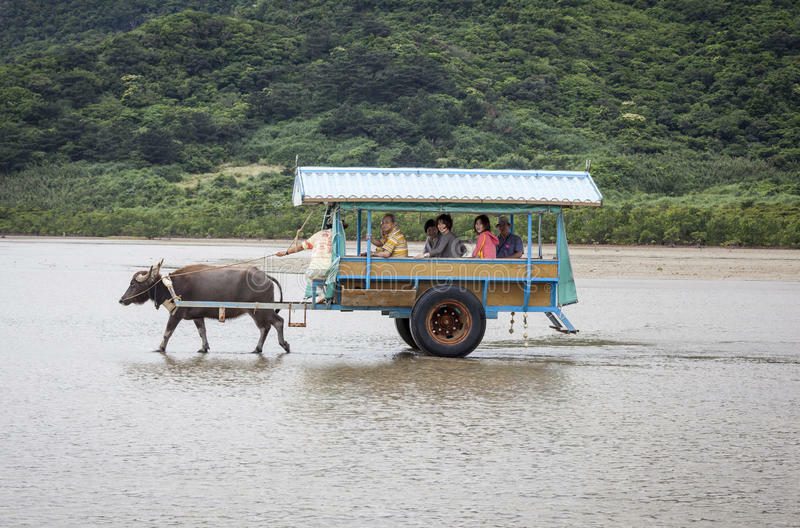 For the tourists it is a convenient adventure to use this modern system of transport. Also, cable cars are the most safe transportation systems. For the 500 m to go from the airport to the cable car station this can be supported by Water Buffalos. Already we spoke with the CEO of Silangit Airport about the idea to use Water Buffalos for this. One requirement will be to cover the parking space in the airport with special concrete stones where grass can grow through. By this you will have a green airport with water buffalos. This picture will go around the world – all magazines around the world will report from this. Marketing for free! No investment in Gras cutting or cleaning anymore. The Buffalo is doing it. You can give the license to the families, they have a Buffalo and they pay the airport for this, because they can charge to transport the luggage and the children and maybe also people. A business model again! And create a transport system so that the tourists don´t need to bring their own cars. Here the cable car from the East to the west is the solution. It has to be researched of what would be the best line to connect the spots, like Tuktuk, hills of Samosir, Tomok, town of Pangururan and the hotsprings. Tourists can buy a day or weekly tickets which cover all services. The operation costs for more people are not that high. The amount of electricity for one more person more can almost be neglected, but the people will buy these tickets. The land to built roads and parking spaces can be safe. The cable car only needs a very small space to operate. It is also an easy-to-use transportation system for all the inhabitants of Samosir. It is faster than to go from Tuktuk to Pangururan by car. Cable cars can also transport goods and cargo. There are special cabins for this. Even a Buffalo can be transported from Tomok up to the mountain. School children can use the cable car to go to school in Ambarita, and they don´t have to use the dangerous bus. This is a school bus damaged at the 31.7.17 when more than 4 children died. This nearly impossible with a cable car. The cable car is an attraction itself. People will come as tourists just to use the cable car. It has to be calculated how many tourists will come more because of the cable car. It has to be marketed, but the people will come, they want to make this kind of sports. Cable car systems are workhorses and can operate for more than 50 years. It is a one-time investment and then the running costs are not so high. It doesn’t need a lot of people to operate it. It doesn’t need huge amount of drivers. The people don´t need their cars. It is getting cheaper for them. Therefore it is easy to pay for the cable car. The government saves money, because they don´t have to built so many large roads and parking spaces. Even today in Tomok the traffic can not be handled anymore. If there will be even more cars, then it very fast needs a tunnel or a flyover. Pangururan already today at market days has difficulties to handle the traffic. All the hotels and guesthouses should give the tickets for the cable car already with the booking to the guests and this is an additional income for the hotels. If the people have to pay this in advance, then they don´t want to come with the car anymore. These systems are working also in other touristic areas. The financing should be done through a system of bidding / tender. The government gives the license to the company who offers the best services for the least money, to build and to operate the cable car system. A first draft – Thank you for your comments. Lake Toba suffers from outdated and slow transportation systems, choking local business and deterring tourists. 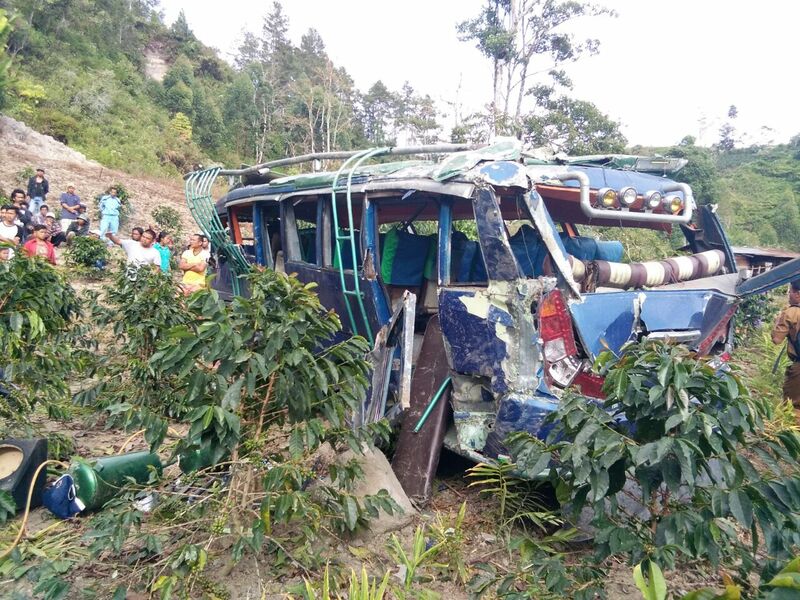 Exceptionally poor road conditions means that a 50km journey to the capital of Samosir (Pangururan) takes 5 hours each way, necessitating an entire day’s travel. International tourists will have already suffered a 4-5 hour journey from Medan, along congested roads also in poor condition, to reach Lake Toba before embarking for Samosir Island or other shoreline destinations. Road development is extremely costly and would involve toll-stations to recoup costs and fund maintenance. With just one overland connection between Samosir Island and the mainland, all tourists and islanders rely on boat transportation. As with road travel, this is extremely slow and unreliable. Balige to Silimalombu takes 3-5 hours with only 1 connection per day. A delay of at least 1 hour to the running schedule is almost guaranteed. The income from tourism could transform Lake Toba, enriching the local economy and environment for its inhabitants. Any new transport infrastructure needs to be high speed to maximise the cost of its development. A 25-seater high speed Catamaran will connect Pangururan to Muara, Balige, Onan Runggu, Silimalombu, Tuktuk, Parapat and Tongin. For the first phase of the project, this circuit will tour one direction, then in reverse, twice a day. As a model, we are using the high speed boats running from Bali to Gili’s, but with electric motors and solar power plants at the harbours. At the harbours the batteries will be exchanged, and solar panels can provide a roof for a market place or many residential houses, functioning for 50 years. The pricing will be flexible on demand, similar to airline ticketing. The selling platform will be andaliman.net. The boat is a fibre construction in the aerodynamic shape of a Catamaran, reducing the building of waves by around 50 %. It’s electric motor has a lower energy consumption, with a maximum speed of 90 km. The boat will have space for 28 people plus a driver and steward. It will be roofed and closed with openable windows. The interior is adapted from an aircraft, with 4 seats in one row and a steward serving drinks, microwaved food and products made at Lake Toba. The boat has two inboard 150 kw electric motors and 300 kw/h Tesla Battery packs. With this the boat can travel for 1 hour at maximum speed. The schedule plans a battery exchange after 30 minutes. The batteries are fixed on a track, and at the harbour they are connected by this track to the charger unit at the backboard. The driver will exchange the battery sets – taking just 3-5 minutes. The weight of the Batteries will be around 1 ton. The technology for the boat will be simple. It will use two standard industrial electric DC motors built into the body of the boat. All other technology will be the same as in other speed boats. It doesn’t need a navigation system or other expensive electronic equipment. The motor can use direct the power from the batteries without a transforming process. The boat will be bought at a boat building factory (Java) and transported to Lake Toba. Here we will insert the engines and apply the finishing to the boat body. The boat will measure 9m by 250m. It will cost, excluding batteries, around 500.000 USD. In the case of an emergency we will have a second boat which can arrive anywhere around Lake Toba in 45 minutes. For this we can guarantee delays of no more than 1 hour in 99.9% of all departures. 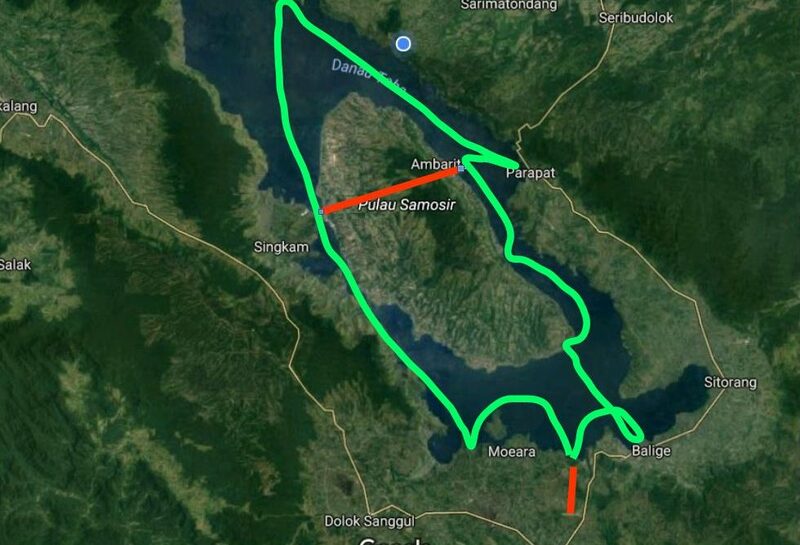 We can use the existing harbours around Lake Toba, adding only the battery charging stations and the tracks leading to them. It is optimal the charging stations are built directly on the peer. Close to the harbour is the solar plant – an area of solar panels measuring around 3500 square meters. This will be offered to the villages a roofed meeting or market place, or to the villagers as a roof for their houses – providing them with a functioning roof for 50 years. The harbours don´t give a special service to the customers, just utilise the existing Infrastructure. One employee to sell tickets will be stationed at the harbours. We will use low-cost Polycrystalline panels. It makes sense to produce the panel directly at Lake Toba and import only the solar cells. The laminator can be bought for 25.000 USD. The panels can be laminated on simple glass and put directly onto a roof construction – expensive aluminum frames are unnecessary. Also there is no import tax in Indonesia for the solar cells. With this equipment, we can sell additional cheap solar panels to anyone who needs them around Lake Toba. The selling Platform will be the E-commerce Software of the Save Lake Toba Foundation. This is currently being programmed. It will use airline-style flexible pricing. If there is a high demand than the price is high. If there is nearly no demand than the price will be extremely cheap, making it accessible to the local community. It may be best to import a system for this or employ a researcher to investigate the optimum pricing system. Travel agents can also sell tickets at a higher price, using the same platform. A boarding pass can be printed, or an electronic 3D code for mobile phones. The steward will check tickets and if there is space, sell day-seats for a high price. This will not be demanding. An electric-powered boat is lower maintenance, with fewer possibilities for drop-downs. There is no carburettor system, no cooling, no pipes or hosing. There are just 2 cables from the batter, and the motor runs for 20.000 hours – 8 hours a day for around 8 years. After this, the bearings have to be replaced. For emergencies we have one electrician and a qualified mechanic on standby with the maintenance boat. The most likely event is that the propeller will catch fishing nets or pieces of floating wood, in which case the propeller would need to be exchanged. The electrician is already stationed in Silimalombu and is able to respond to an emergency in under 5 minutes. The maintenance boat also can be used as a rescue boat around Lake Toba. It will have a smaller capacity, for 4 people. The boat can also be used for any other activity around the lake – for marketing or to transport VIP’s or latecomers to the shuttle who need to make a connecting flight. In all cases, the maintenance boat can charge for these services and generate its own income. The total investment needed for the project is around 3.5 million USD. For this sum we have calculated 15% as the fundraising cost. We wish to generate cash for this project through those already invested in Lake Toba and its industry, not relying on commercial investors who will take profits from the project away from the local economy and its inhabitants the project is designed to benefit. Local investors – there are many wealthy members in the YPDT. We will offer them a higher rate of return in this sustainable investment opportunity than what is already available to them. Crowd-funding – fundraising all, or some, of the money needed through Kickstarter or Indiegogo. We can activate our extensive network (of ….) to promote the campaign and reach our funding targets. Tourism cooperative – the many resorts around Lake Toba rely on tourism. We will set up the shuttle project as a cooperative company they can invest in, as it will have a direct impact on their customers’ experience, and on the number of tourists that will be attracted to Lake Toba. The outstanding funds will be borrowed as cheap credit from the Indonesian government. See the copy of the Excel sheet overleaf.